Posted on April 22, 2014 by amanabduhu	in Media, Politics and tagged Bangladesh leftist movement, Bangladesh Politics, Featured, India-Bangladesh Relations, public intellectuals, Slide. দেখে থমকে গেলাম। আমরা এতোটা বোকা কেন? নিরুপায় হতভাগা কোন বর্গাচাষীর মতো। শরীরে শক্তি আছে, তবু কোন উপায় নেই। কিছু করার নেই। হাত-পা ছেড়ে দিয়ে আকাশের দিকে তাকিয়ে থাকি। তারপর গ্রামের সুদী-ব্যাবসায়ী আবুল হোসেন এসে মাথায় একটু হাত বুলিয়ে দিলেই ডুকরে কেঁদে উঠি। ভিটে-বাড়ির দলিলপত্র কাবিননামা সব তার হাতে তুলে দিয়ে বলি, আমাকে বাঁচান। আমার আর কেউ নাই! সুতরাং যখন বারবার দেখি ডানপন্থী মানুষ নামের পোকামাকড়ের দল আকাশের দিকে তাকিয়ে এই জাতির বিবেকদের মুখ থেকে নেমে আসা দিকনির্দেশনায় আপ্লুত হচ্ছে, আসিফ নজরুল শফিক রেহমান নুরুল কবির মাহমুদুর মান্নাদের হাতে ভিটে-বাড়ির দলিলপত্র, বিশ্বাসের ঘরের চাবি তুলে দিচ্ছে, তখন মাকসুদের মতো করে গাইতে ইচ্ছা করে- কোন পথে এই বলদের দল চলছে/ হায় পরোয়ারদিগার!! 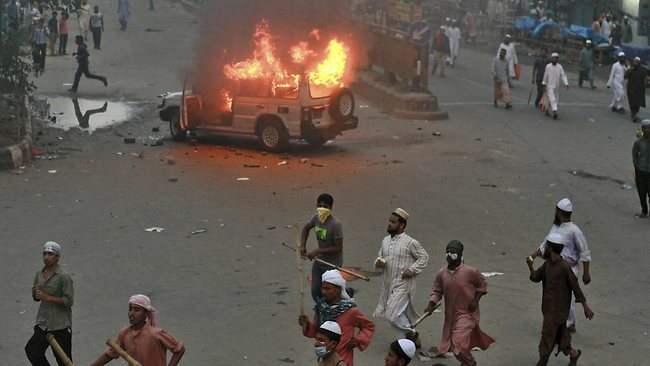 Bangladesh ~ Democracy in peril ~ Extreme Destabilization on hand ? Posted on November 26, 2013 by SHAMS K	in Awami League, BNP, Election, History, Media, Politics, Religion, Rights and tagged Bangladesh leftist movement, Bangladesh opposition oppression, Bangladesh political islam, Bangladesh Politics, Featured, Slide. ‘Bangladesh Syndrome’ is a term widely used in global diplomatic and economic think tanks in recent decades as an ever-broken system, which is run by mostly corrupt and dysfunctional political leaderships, progressing forward just by the will and resilience of the citizens themselves. 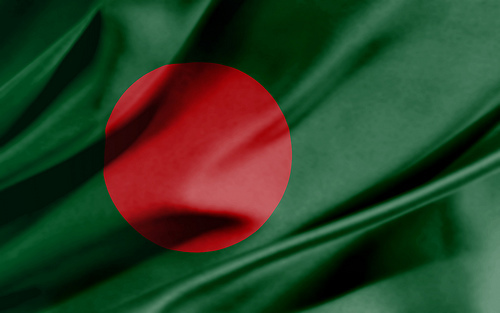 Bangladesh is a place where optimism, hard-work and hope for a better future co-exist side by side with mindless corruption, endless poverty and needless political bickering. As a country and society Bangladesh has failed to address the timely needs of its hard-working regular citizens in most of the years since the time of the inception of the country in 1971. Failing to get a functionally neutral judiciary, failure to ensure the freedom of press and freedom of expression and failure to construct a non-partisan free and fare Election system are among the few of the said failures. Current prime minister Mrs Sheikh Hasina finishing her 2nd term as the country’s head of government. 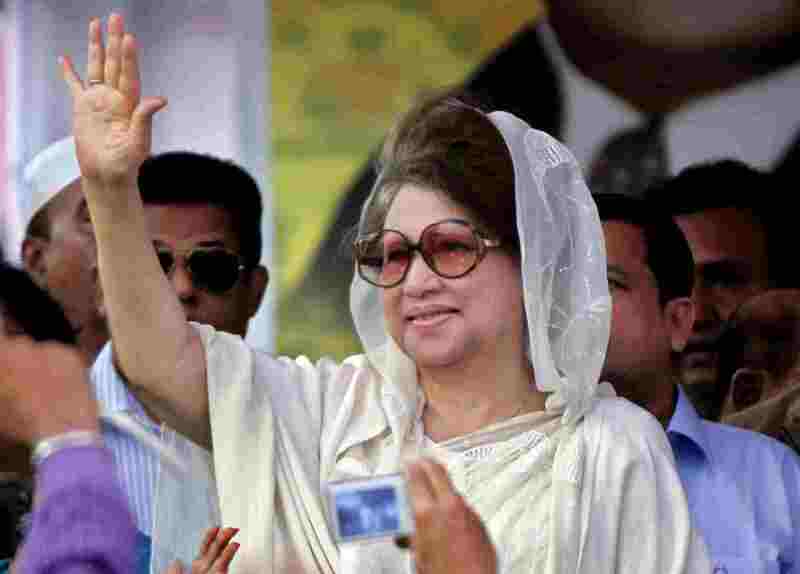 She refused to go to poll in 1996 in a similar situation when then prime minister Mrs Khaleda Zia refused to step down as the head of government. Path towards a multi-party-democracy for Bangladesh has not been easy. 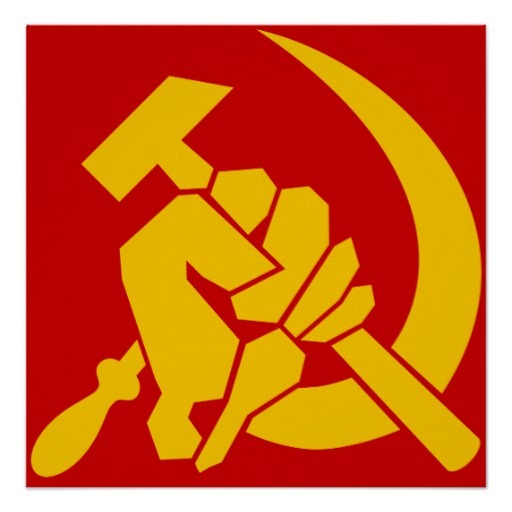 Multiple autocratic rulers have tried to install one-party democracy in the ‘70s and ‘80s and was rejected by people. After long history of revolt and political struggle finally in 1990, after the fall of then autocratic dictator H M Ershad, its seemed like that Bangladesh finally has settled into a system where all political parties can co-exist in a parliamentarian democratic eco-system. Well, we were grossly wrong in our calculation and got too hopeful too early I assume. Vote rigging, voter intimidation and election engineering are among the list of regular corrupt political practices among political parties in Bangladesh. The facts and evidence are so historically true that nobody even denies that. As per the mis-trust of each other among political parties themselves, a ‘neutral non-partisan caretaker government’ was installed just to run the election in 90 days time frame and was constitutionalized in 1996 and so it became the law of the land – same rule for everybody. Current opposition leader Mrs Khaleda Zia, have been prime minister of the country for 3 times previously, refuses to go to poll while prime minister Mrs Sheikh Hasina stays as the head of the government. 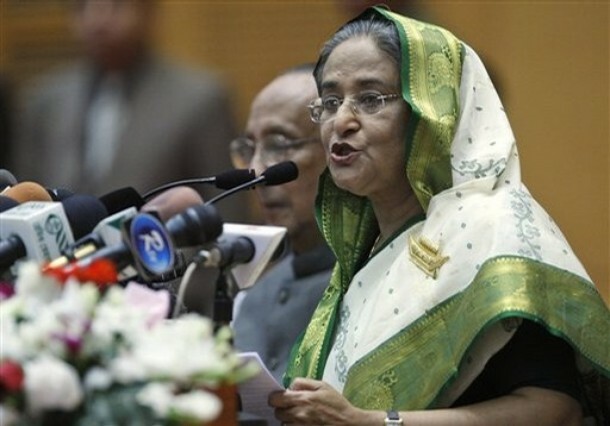 On a surprise move current ruling political party Bangladesh Awami League, led by Prime Minister Sheikh Hasina, suddenly abolished the ‘neutral non-partisan caretaker government’ from the constitution and thus asked the country to go to pole while she stays as the chief executive of the country during the election time. The main opposition party Bangladesh Nationalist Party (BNP), led by 3-times Prime Minister of the country Khaleda Zia has refused to join the poll if the current Prime Minister Sheikh Hasina stays as the chief executive of the country as wide-spread vote rigging and election engineering is expected by the ruling party. In recent months all the polls, conducted by even the govt-leaning media outlets, have shown that popularity of the current ruling party has taken a deep in past 5 years and if elections are held in a free fare non-partisan way Bangladesh Nationalist Party (BNP) will win a land-slide victory. Global democratic communities, including European Union and US Congressional body, have openly called for a free a fare election in Bangladesh where an election can not be called a ‘credible one’ without the participation of the main opposition party of last election Bangladesh Nationalist Party (BNP). There were several attempts of dialogue in both domestic and diplomatic arena but have gone in vein due to lack of willingness of the current ruling party Bangladesh Awami League to give up the chief executive position during the election time. Social Media sites like FaceBook have been flooded by the news of the arrest of opposition supporters and activists as Govt has effectively imposed media-blockade against opposition. University teachers have been apprehended and imprisoned for their stance against govt on FaceBook. Finally the election commission of Bangladesh has declared the date to conduct poll in a nationally televised broadcast by the chief election commissioner 12 hours ago when this blog is being written. If this election goes throw as it is, this will effectively kill the essence and tradition of multi-party-democracy in Bangladesh for foreseeable future and will install a one-party-parliament by conducting a single-party-poll. Wide-spread protest and political clash has griped the country no sooner than the Election Commission announced the date for the up coming single-party-poll. Lawlessness and uncertainties about the future has made the entire country worrisome as you read. Activists and supporters of main opposition party are being mass-arrested by security forces at this very moment. Bangladesh has experienced violent history full of bloodshed and destabilization in early ’70s when failed leftists movements were fighting among themselves and with the govt. Although Bangladeshis are mostly peace-loving hard-working people both the extreme-left and extreme-right are vividly present in the political eco-system. The first president of the country Sheikh Mujibur Rahman had decided not to give the extreme-lefts any sort of political accommodation during his tenure from ’72 to ’75 and Bangladesh has seen very violent bloody past of the failed leftists movements in first half of the ’70 decade. In order to restore safety and security in the country, then govt forces have defused the leftists movement through bloodshed where 40,000+ leftists were killed during that time. Extreme-rights have largely been contained by political accommodation as of yet so far. But future of this political accommodation is un-known as current ruling gov of Bangladesh Awami League has taken away the ‘right to do politics’ of Jamaat-E-Islami, the largest Islamist party in the country, for their role during the liberation war in 1971. The absence of multi-party democracy and meaningful political accommodation will create political vacuums effective enough for the rise of fundamental Islamists. Most of 160 millions of people of Bangladesh are poor while financial concern is #1 in 85% of citizens mind. An absence of multi-party-democracy will not only destabilize the economic rhythm of the nation but also will create political vacuum for the extremists Islamist to make permanent footstep in the country. The rise of extremist Islam always takes place when political accommodation of the Islamists are not possible in a democratic eco-system. ANY political scientists will confirm this fact if you ask. Current destabilization of the country runs the risk of extreme elements to rise and the country going back to the early ’70s where the country was an effective war-zone while govt forces are always fighting the extremists inside the country. Only difference is this time around it will be the extreme-rights.